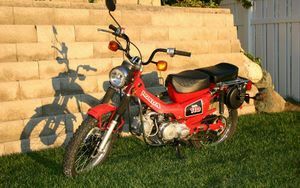 The Honda CT110 is a motorcycle produced by Honda from 1980 to 1986. 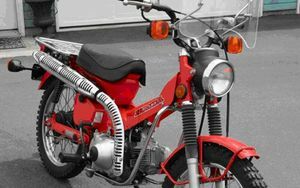 The Honda CT110 was a 110cc, 4-stroke, OHC dual-purpose motorcycle manufactured by Honda from 1980 through 1986. 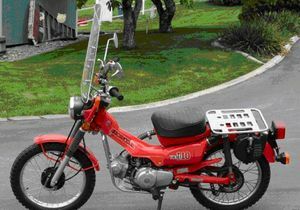 The CT110 or "Postie Bike" well known in Australia due to their use by Australia Post as a delivery bike. 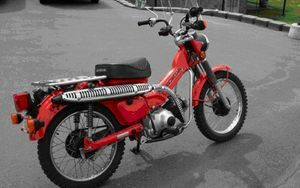 This also makes them the highest selling motorcycle in the country. 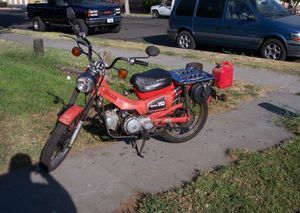 Not unlike the Honda CT90, it had a raised exhaust system, carrying rack, and seated one person though an attachable seat for the rack was available. 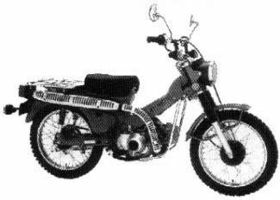 The Honda Trail for 1980 was called the CT110'80. One color was available: Tahitian Red. 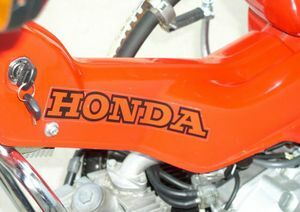 The "HONDA" decal was red but outlined in white. 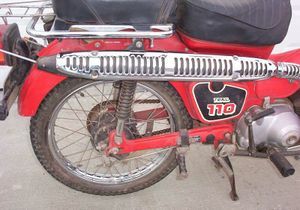 The decal "TRAIL 110" appeared only on the left side cover. The ignition used points and condenser. 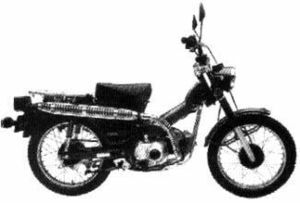 The engine was a single cylinder displacing 105cc and used a single overhead cam (OHC). The transmission was a 4-speed with an automatic clutch. The serial number began JD01-5000001. 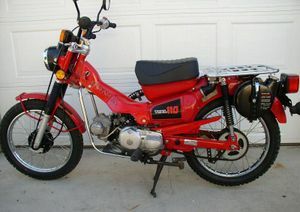 The CT110'81 Trail 110 was sold in 1981 and came in one color: Tahitian Red. 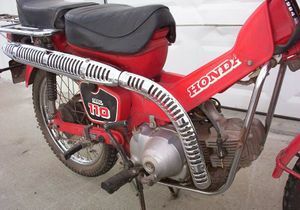 The "HONDA" decal was red, outlined in black. 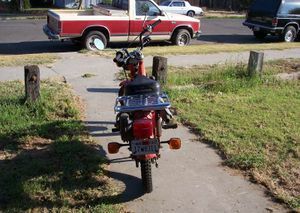 The "TRAIL 110" side cover decal was located on both sides of the bike and was white and red on a black panel. 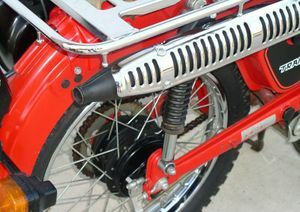 The ignition used points and condenser. 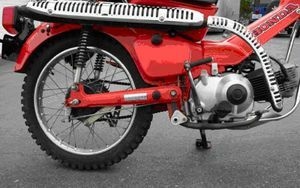 The engine was a single cylinder displacing 105cc and used a single overhead cam (OHC). The transmission was a 8-speed dual range with an automatic clutch. The serial number began JH2JD010*BS100002. 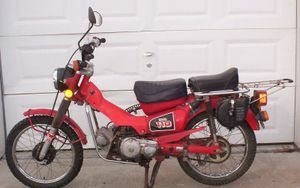 The CT110'82 Trail 110 was sold in 1982 and came in Monza Red. The "TRAIL 110: decal was a white outline and red on a black panel. The ignition use a CD. 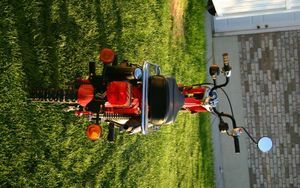 The engine was a single cylinder displacing 105cc and used a single overhead cam (OHC). 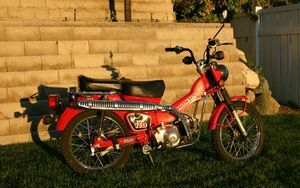 The transmission was a 8-speed dual range with an automatic clutch. The serial number began JH2JD010*CS200001. 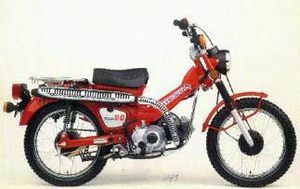 The Honda Trail 110 for 1983 was called the CT110'83. One color was available: Monza Red. The "HONDA" decal was black but outlined in white. 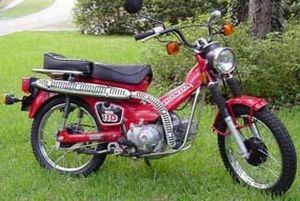 The decal "TRAIL 110" was red on silver and outlined in black. The ignition used a CD. 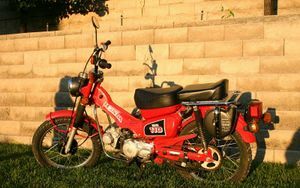 The engine was a single cylinder displacing 105cc and used a single overhead cam (OHC). The transmission was an 8-speed dual range with an automatic clutch. The serial number began JH2JD0102DS300003. 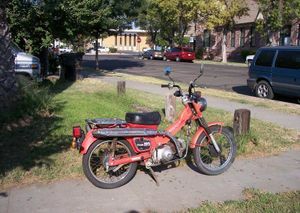 The CT110'84 was sold in 1984 in one color: Monza Red. All decals and graphics were outlined in white. The "HONDA" decal was red. 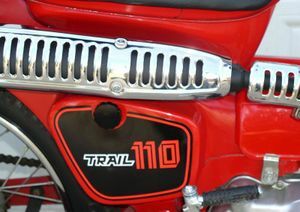 The "TRAIL 110" logo was black and red. The side cover panel was black. The ignition use a CD. 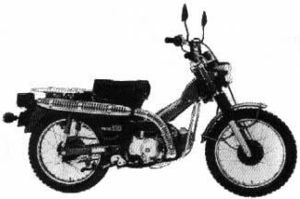 The engine was a single cylinder displacing 105cc and used a single overhead cam (OHC). 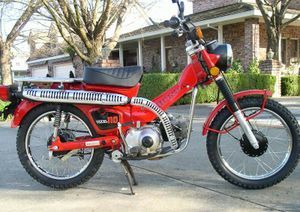 The transmission was a 8-speed dual range with an automatic clutch. The serial number began JH2JD010*ES400001. 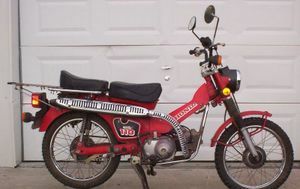 CT110'86 All decals and graphics were outlined in white. The "HONDA" decal was red. 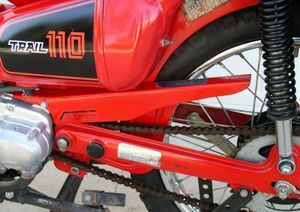 The "TRAIL 110" logo was black and red. The side cover panel was black. The ignition use a CD. 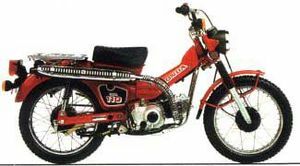 The engine was a single cylinder displacing 105cc and used a single overhead cam (OHC). The transmission was a 8-speed dual range with an automatic clutch. The serial number began JH2JD010*GS500001. This page was last edited on 28 November 2010, at 21:04.